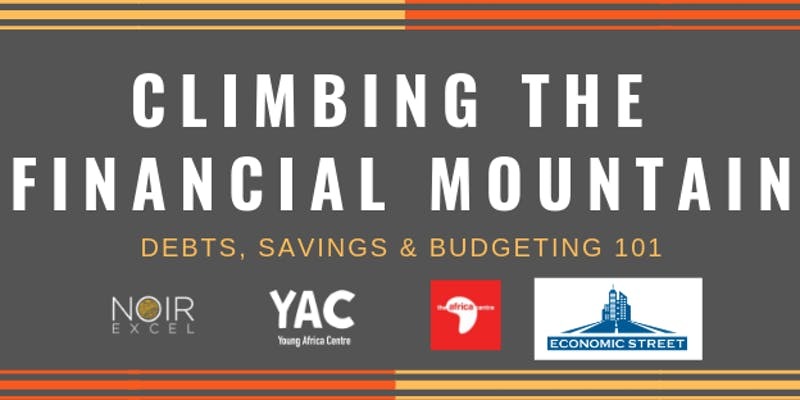 Young Africa Centre Present: Climbing The Financial Mountain [04/04/2019] | The Africa Centre | Proud of our past. Passionate about our future. Want to conquer your financial mountain? YAC are back at it again with The Forum and this time we’ll be discussing how to take ownership of your finances. Join our forum if you want help identifying common habits that lead to and perpetuate stable financial health. During the forum, we will have guest speakers share with you tools & tips that you can use to improve your financial habits or set new ones. This is your chance to ask the experts so come ready with your questions and take part in the discussion! Great conversation, great company plus drinks & snacks will be available. Let’s chop it up! The Forum us a seasonal discussion, The Forum is providing a safe space the young Black community in the UK to talk politics, culture and all things relevant to our progress. Enquiries or any other information please contact us at officemanager@africacentre.london.